Several years ago a study in human liver tissue and in rats concluded that pomegranate juice inhibited CYP3A — a liver enzyme in the cytochrome P450 system important for metabolizing drugs. The implications were that — just as with grapefruit — people taking drugs such as statins for cholesterol might be exposed to much higher blood levels and greater risk of side effects. We now find that when studied in healthy volunteers, pomegranate juice is not associated with this risk. In 13 volunteer, drinking 8 ounces of pomegranate juice had no effect on the blood levels of midazolam (Versed) — a benzodiazepine type drug used as a sedative that is sensitive to this enzyme interaction. Some men drink pomegranate juice to slow the rise in prostate-specific antigen levels (PSA). Other drugs affected by grapefruit juice are listed here. 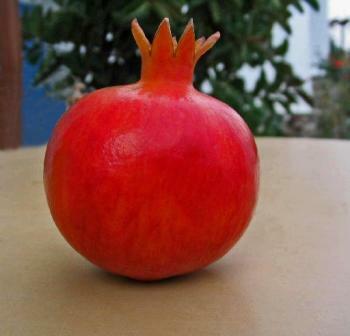 This entry was posted on Tuesday, October 9th, 2007 at 10:34 AM	and is filed under CAM Interactions, Pomegranate. You can follow any responses to this entry through the RSS 2.0 feed. You can leave a response, or trackback from your own site.